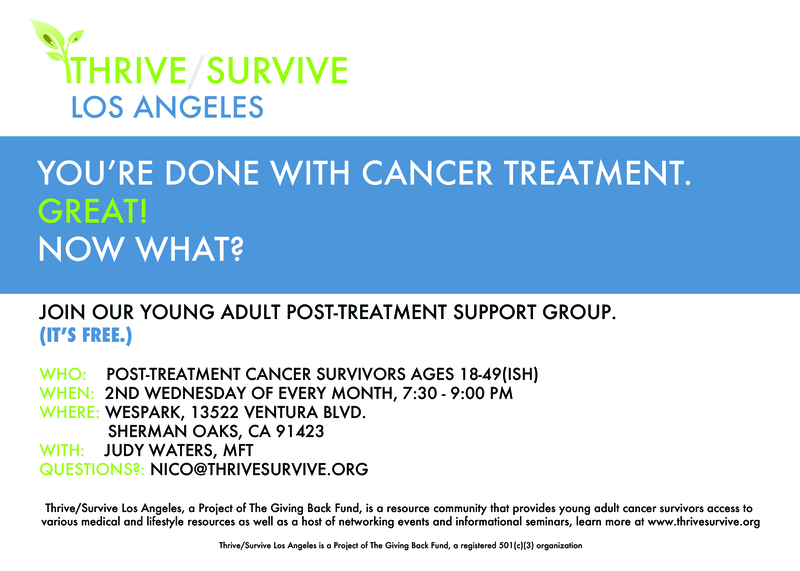 If you're a post-treatment young adult cancer survivor, you know how hard it is to find local resources that can take you from just surviving to thriving. We're what's next. Thrive/Survive aims to create a portal community to enable real-life meetups as well as access to various medical and lifestyle resources. Support group: moving to WeSpark! We’re moving to WeSpark! 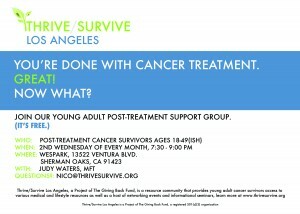 Now meeting on the 2nd Wednesday of every month at a new location at WeSpark in Sherman Oaks. See you there! 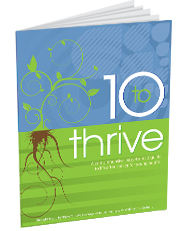 Download it today: an easy-to-navigate eBook of top 10 lists dealing with 10 different areas of a young adult survivor’s life, such as career, finance and dating. The content in the eBook is supplied by experts, leaders and organizations in the cancer community. Thrive/Survive is a project of The Giving Back Fund, a 501(c)(3) organization, and we are accepting tax-deductible donations.